Shutdown All Engines, Decouple Pod. The CTV-3 ‘Skyreach’ is designed to carry 3 crew members to a Space Station in a 500x500km orbit. 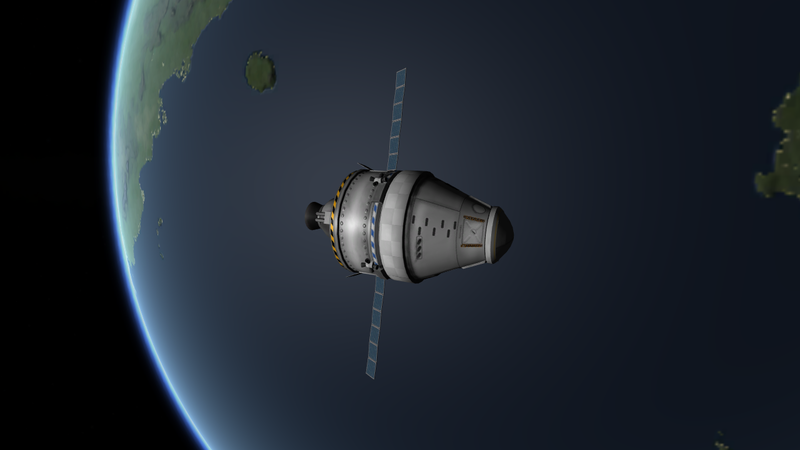 It has RCS for docking and is very easy to fly. See more at the Galactic Industries forum page. It is built with 48 of the coolest parts, its root part is fuelTank1-2. Built in the VAB in KSP version 1.1.2, however it will work in any 1.1.x version.